Bio:Whitney Untiedt is a partner at Akerman LLP and the firm’s first Director of Pro Bono Initiatives. Based in the firm’s Miami office, Whitney oversees all firm-wide pro bono activities and is spearheading the development of the firm’s centralized pro bono initiative, which focuses on partnerships and collaborations that align with Akerman’s philanthropic focus on education and youth development. Prior to joining Akerman, Whitney completed a year as an Equal Justice Works AmeriCorps Legal Fellow, and served nine years as an Assistant Public Defender in Gainesville, Florida, where she represented juvenile and adult clients in criminal matters ranging from domestic battery and drug possession to arson and gun crimes. As Division Chief of Alachua County Court for four years, Whitney supervised and trained attorneys and law student interns while maintaining a discrete caseload focusing on the representation of high-risk juveniles involved in delinquency and dependency proceedings. At the Public Defender’s Office, Whitney authored a series of petitions for writ of habeas corpus in the First DCA that resulted in tighter restrictions on the use of juvenile detention in circuits across the district, and served as vice chair and training director of the Florida Public Defender Association’s Juvenile Justice Steering Committee. Whitney is an adjunct professor at the University of Florida Colleges of Business and Law, teaching graduate-level Negotiation and Juvenile Justice courses, and coaching UF Law’s Trial Team. She is a program director for the National Institute for Trial Advocacy, traveling the country as a faculty member for deposition and trial skills programs, and a certified trainer for the National Juvenile Defender Center’s Juvenile Training Immersion Program. Whitney also serves as co-director of the Southern Juvenile Defender Center and as a member of the Florida Children’s Justice Act Task Force. 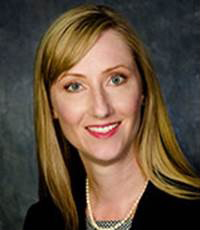 Whitney is the author of a chapter in Florida Juvenile Law and Practice, published by the Florida Bar, and is appointed to the Florida Bar’s Standing Committee on Professionalism. Whitney graduated from the University of Florida Levin College of Law with honors, where she was President of the Trial Team and the Association for Public Interest Law.